In LiveCode the use of groups of controls allows us to write general UI controls that can be easily extended by editing the content of the individual groups, without affecting any overall functionality. This lesson is about writing a blind effect, where one can click on a blind pane such that the blind opens up pushing the underlying blind panes down in the process. 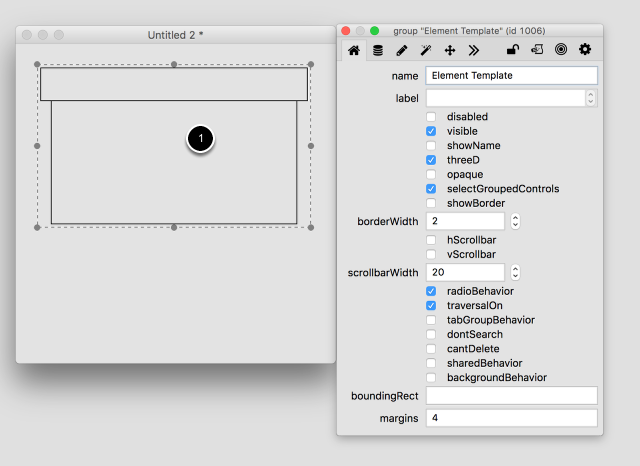 First we need to start by creating a UI element template. We can then clone this template to create a list of elements making up our blind. Open a new stack and start off by creating two rectangular graphics, that will form the backgrounds of our element. We place these underneath each other so that we can see what the blind element would look like in its extended form. We then group both rectangles separately naming the top group "Main" and the lower one "Slider", as it will be the group that "slides" out. We group both of these groups together in an umbrella group we shall call "Element Template". We do not wish our groups to have any visible margins, so we set the margins of all our groups to 0. (You can do this by going to the "Text Formatting" pane of the property inspector, or issuing the command directly in the message box). Now we have the two groups inside the "Element Template" group, we wish to add the sliding functionality. To allow our groups to open and close we add a button to the "main" group, name it "slide", set its label to "+" and add a mouseUp handler to the button script. The mouseUp handler toggles the label of the button between + and - and shows or hides the sliding pane. set the label of me to "-"
set the label of me to "+"
The showMe and hideMe handlers called in the "slide" button script are passed up the message path until they reach the "Element Template" group where they are handled. move slider up[down] by 4 pixels. Notice that "me" here is the "Element Template" group, which contains the groups "Slider" and "Main". As we do not want to unnecessarily lock up messages we wait 10 milliseconds with messages, this allows normal processing to continue during the wait. If the height of your "Slider" group is greater than the height of group "Main" you will notice that the slider group moves behind but past the "Main" group. Thus, in order to avoid this we will make some handy use of group clipping in LiveCode. In addition, we will also make use of the fact that if a group's "lockLoc" property is set to true and we set the height of the group to a lesser value, the top of the group remains the same. Unless otherwise required by your program, it is recommended you lockLoc all your controls in the template to avoid any unexpected results. If you need to temporarily move a control, you can unlock it in the property inspector, move the control, and lock it again. In order to make the clipping work, when the slider is moving up or down, we need to adjust the height of the group "Element Template". By setting lockLoc to true, the top of this group stays fixed so that the Slider group can move past this top causing clipping to occur. We added the line layoutChanged, that can be intercepted higher up in the message path. So, in order to intercept this message, we first need to create a list of elements, group those and put a layoutChanged handler in this new group. For reasons of simplicity we shall create a list manually, but this can of course be easily automated with individual list elements depending on certain data. So, let's clone the "Element Template" group. You can do this very easily in the IDE by holding down Option on Mac or Ctrl on the PC and dragging the "Element Template" group to another location. You will see that instead a copy is made. Name this new copy "Element 1", we will make handy use of the fact that word 2 of the name is a number so that for all subsequent template clones we increment this number thus creating groups "Element 2" to "Element 4". 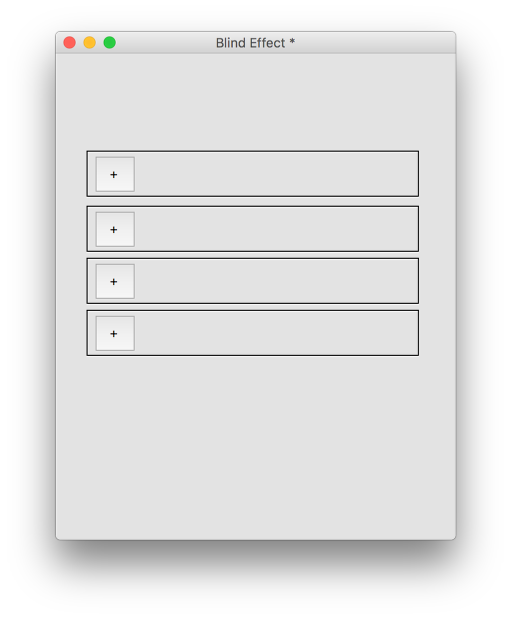 After having created 4 elements in this fashion, we group all of these together by selecting them in the IDE and clicking the "group" button. Call the new umbrella group "List". We may wish to make this "List" group slightly wider, so to allow space for a scrollbar for example. After having done this make sure you set the lockLoc property to true again. We may now see a list of four elements, however, the sliding functionality no longer works, because the other elements do not yet move and thus overlap any sliders. pGroup is the group whose slider is moving by a number of pSize pixels (be it up or down). So, because the layout has changed by pSize, we need to adjust the top of each group coming after the one that sent the message layoutChanged accordingly. We now have a working blind effect! In order to speed things up it is a good idea to use "lock screen". This will defer a screen refresh until unlock screen or the end of a handler for that matter is encountered. We may now have a blind effect, however, we are left with the problem of content moving out of view in the group "List". To resolve this, we need to update the scrolling of the "List" group accordingly in the layoutChanged handler of the card. Thus, if the bottom of one of our list elements becomes greater than the bottom of group "List", we need to update the scroll of the umbrella "List" group, so that the element stays in view. set the vScrollBar of group "List" to the formattedHeight of group "List" > the height of group "List"
set the vScroll of group "List" to the vScroll of group "List"
in other words, if the height of the contents in full is greater than the visible height of the group, we need to allow scrolling, else disallow it. The second line makes sure that the scroll of the field gets updated correctly, as its contents change size. In other words this forces an update of the scrolling of the field. It is really easy to create UI controls in LiveCode. The great advantage of the above example is that it mainly made use of group controls, this means that we can add anything we like to our "Main" and "Slider" groups, yet maintaining the functionality we created without any worry. We need simply edit the template, and we can then create an advanced UI list that looks good. Skinning the template one can create all sorts of lists. "So, let's clone the "Element Template" group. 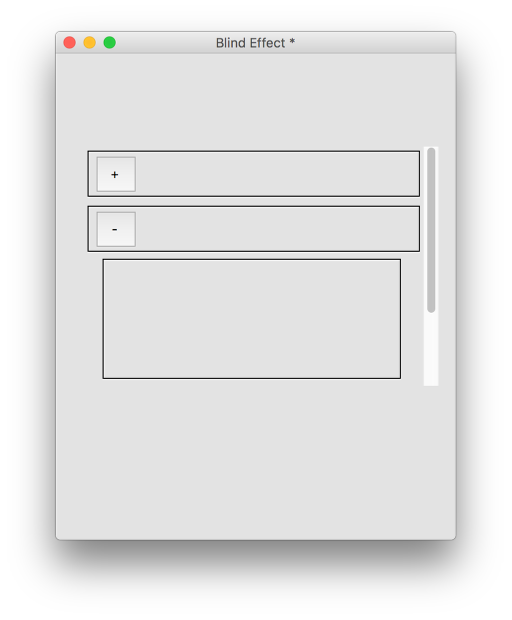 You can do this very easily in the IDE by holding down Option on Mac or [Alt] on the PC and dragging the "Element Template" group to another location." The Control key is the copy key in Windows, not the Alt key. indeed. The lesson has been updated. Sorry, but the sentence after the second image: "We then group both rectangles seperately naming the top group "Main" and the lower one "Slider"" is not clear enough for me. "group both rectangles seperately" ????? 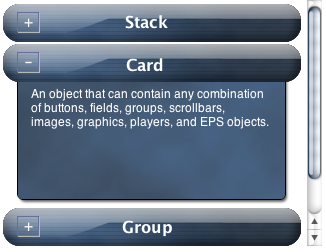 How can I group separatly when the card contains only 2 objects ? I can only group in that case rectangle1 with rectangle2, no? Or do you mean I must group twice the same objects and give to each group the names "Main" and "Slider" ? 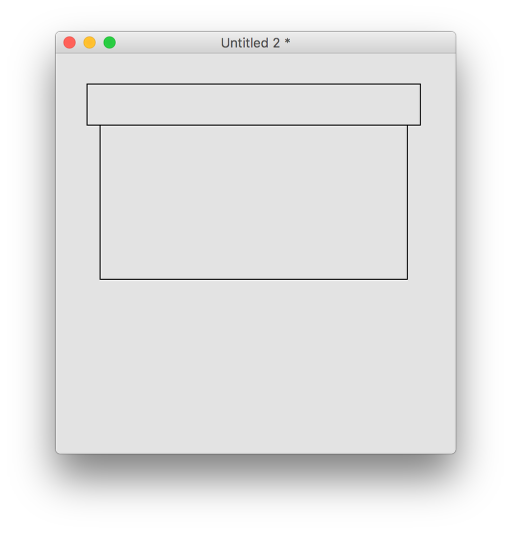 Effectively, each rectangle is grouped alone. Each rectangle turns into a group of a single element. Select both groups and group them. Now you have two groups within a single group. and are very common in graphics applications. It would be better if this lesson provide a sample stack. Could it be possible to attach the sample stack for this lesson? Any example stack available for this lesson?